Hopson Flats (“Hopson Flats”) is located in Downtown Grand Rapids at the intersection of Grandville Ave SW and Williams St SW across the street from Founders Brewing and approximately ½ mile from Grand Valley State University’s Pew Campus. 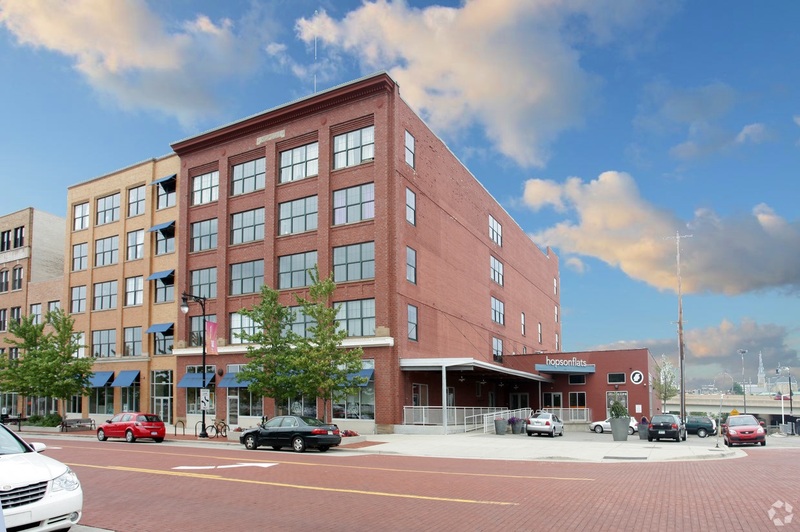 Grand Rapids is experiencing a boom in development and two exiting major redevelopment projects on adjacent parcels are pending that will have a significant positive economic impact on Hopson Flats. One of the largest developments in Grand Rapids history, 201 Market is a 15.8-acre river front property located two blocks from Hopson’s front door. The winning proposal from Flaherty & Collins includes four buildings, which would be built in three phases. Overall, the site would include a grocery store, luxury hotel, multiple mixed-use residential and retail buildings, a riverfront plaza and walkway along the Grand. As more and more students and young professionals choose to live in more urban locations, the addition of walkable amenities such as a grocery store and added retail will give Hopson Flats a significant advantage over competing properties. This development will transform the riverfront in downtown Grand Rapids. Another large development to have a positive impact on Hopson is Studio Park. This $110M development is located 2 blocks from Hopson’s front door and will include a nine-screen movie theater, a ‘Canopy by Hilton’ 138-room four-star hotel, 98 apartments, 40,000 square feet of retail space, office space and a parking ramp. This is one of the largest private capital investments in the history of the City. The project also will include a public piazza that will be surrounded by restaurants and retail shops and serve as a “10th screen” for Studio Park. Hopson Flats was built in 1905 and historically used mostly as a warehouse. After a complete gut-renovation in 2007 into student apartments, Hopson offered 44 two-, three- and four-bedroom loft-style apartments with wood floors, exposed brick, and high ceilings. Just recently, ownership has decided to take advantage of the low supply of downtown Condos to sell off individually, and is in the process of converting the top floor (10 units & 10 parking spaces) to luxury condos leaving 34 units and 117 beds. Prior to this decision, Hopson was a condominium development containing four condo units: a 44-unit apartment condo, a retail suite condo owned by Cheeky Strut, an office suite condo owned by Fusionary Media, and a 3,020 ft² retail suite condo that is owned by the seller but is currently listed for sale at $789K (FOR SALE: 212-216 Grandville Avenue SW). Now there will be 5 condos and the purchaser of the 34-unit “rental” condos will hold the controlling interest in the development; the other three office/retail condo suites as well as the 10 private residences will pay condo association dues. The Master Deed permits a further condominium development to convert the apartment condos into separately parceled condos for a sell-off at a future date, providing potential to add considerable value which current ownership is capitalizing on by converting the top floor to private residences. Hopson Flats is a well-located, trophy asset in one of the most highly sought after downtown markets in the country. An investor will undoubtedly benefit from the aforementioned 201 Market Redevelopment and the Studio Park development. Due to this exceptional location and the shortage of housing in the Grand Rapids market (Is tight real estate market the ‘new normal’ for West Michigan? ), the highest and best use would be a condo conversion. Justification for the economic merit of a condo conversion execution are the recent condo sales comparables that have occurred in Downtown Grand Rapids. For instance, a 1,502 ft² condo, approximately the same size as Hopson’s largest floor plans sold in February of 2018 for $331,500 or $221 per ft² (52 Monroe Center Street NW Comp). An 1,100 ft² condo, which is slightly smaller than Hopson’s three-bedroom floor plan sold in January of 2018 for $280,000 or $255 per ft² (27 Library Street NE Comp). An average of $240 per ft² multiplied by Hopson’s 41,878 ft² of leasable space shows that a developer could potentially see gross proceeds of over $10M upon completion of the sell-off for converted condo units. Due to the shortage of housing in West Michigan and Downtown Grand Rapids as well as the development in the near vicinity, Hopson Flats presents an exciting opportunity for a developer to be part of a rapidly redeveloping neighborhood.